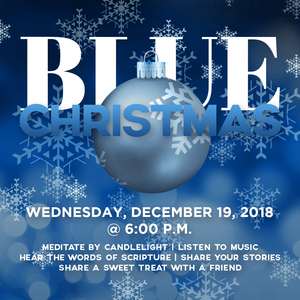 This special service is designed for those for whom the holidays are not joyful due to difficulties in their personal lives. Participants are provided with a safe environment to reflect, pray, read scripture, relax with music, and share stories with new friends. You are invited to bring a symbol of your sadness such as a photo of a loved one who has passed; a key to a foreclosed home; an empty prescription bottle for someone who is ill; the leash to a lost pet. Your item will be used as part of the service and will be returned.